← New jewelry at Star Cat Books! Zelma Lisa Loseke & Bert Dodson will be here on Saturday, August 12 from 3-6pm to read from, talk about, and sign copies of their new children’s book, ZELMA’S FARM. All ages are welcome. The event is free. You won’t want to miss out on this! This entry was posted in Author events. Bookmark the permalink. 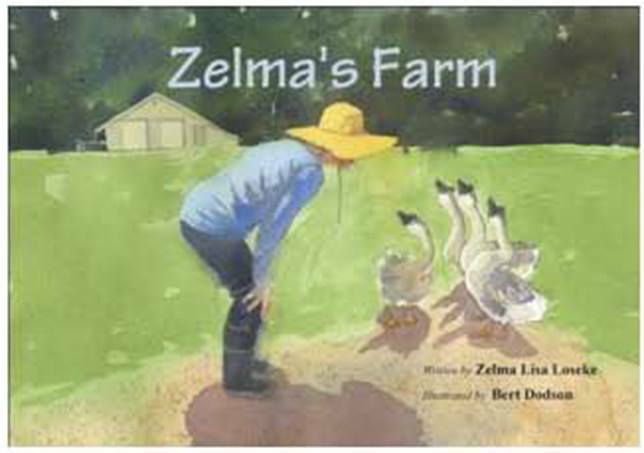 One Response to Zelma’s Farm comes to Star Cat Books! My grandmother’s name was Zelma!